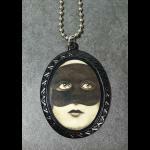 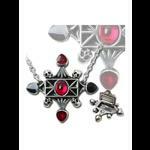 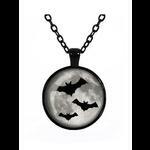 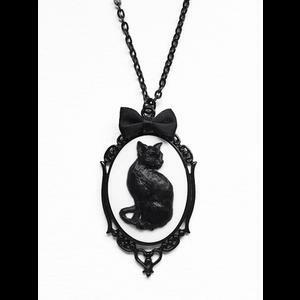 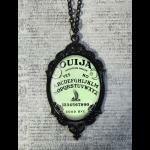 A gorgeous gothic necklace featuring a hand-cast cameo of a black cat on a white background. 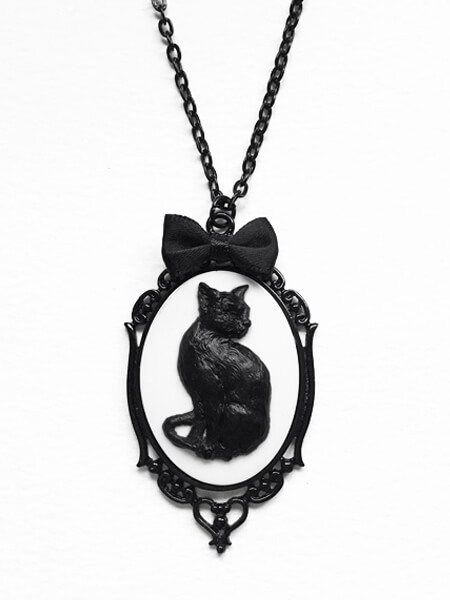 The cameo is set in a pretty black metal filigree frame and is finished with a sweet little black satin bow. 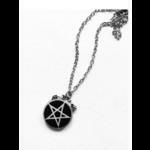 The pendant comes on an 18" black chain.